At Tiesenga Reinsma & DeBoer LLP, we have over 100 years of combined experience in multiple complex practice areas, including corporate and business law, estate planning, probate and trust administration, commercial litigation, commercial real estate, and tax law. Our attorneys put their experience to work to deliver skilled legal guidance and representation to individuals and businesses in the Chicago area. We understand that legal issues often arise unexpectedly, so we strive to remain available to our clients when they need us most. Our emphasis on responsiveness helps set us apart and allows us to deliver practical and timely solutions to our clients. Our business law practice encompasses a broad range of legal matters for businesses, family-owned businesses, and corporations. Our attorneys can assist with every phase of business operations, from business formation to contract drafting and review to business disputes and dissolutions. Our experience in commercial litigation can help resolve disputes either inside or outside of the courtroom. We also work with numerous industrial and agricultural businesses, and we have in-depth knowledge of the common legal issues companies face in these industries and what it takes to overcome those challenges. If you need experienced guidance on all matters related to estate planning and administration or corporate law or business law in Illinois, contact our office today at 630-645-1403 for a consultation. Tiesenga Reinsma & DeBoer LLP provides skilled counsel, advice and legal representation for clients in Oak Brook, Chicago, DuPage County, Cook County, Will County, Lake County, Kane County, Kendall County, Grundy County, and surrounding Illinois communities. 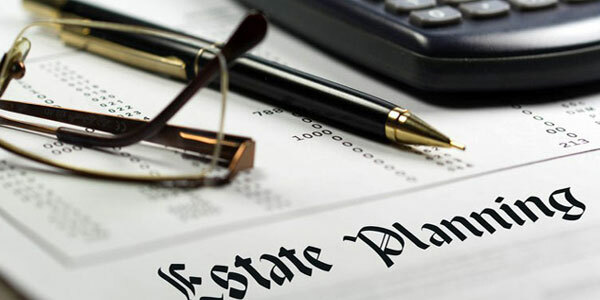 Estate Planning: At Tiesenga Reinsma & DeBoer LLP, we help our clients to protect their last wishes and their hard-earned assets with a comprehensive estate planning strategies tailored to their unique situation. Probate & Trust Administration: At the law office of Tiesenga Reinsma & DeBoer LLP, we bring over a century of combined experience to individuals throughout the Chicago Metro area, providing comprehensive legal representation in matters related to probate and trust administration. Business Law & Commercial Litigation: Whether an issue involves collections, contractual disputes, liability claims, or internal corporate conflict, such disputes threaten the well-being of a business. It is important to have experienced commercial litigation attorneys available to advise you of your rights and protect your interests. Commercial Real Estate: If you need assistance with a commercial real estate transaction, the attorneys at the law office of Tiesenga Reinsma & DeBoer LLP will provide you with accessible, effective, and prompt assistance. Tax Matters: Our skilled attorneys advise and consult with individuals and businesses regarding their tax situations. Whether you have complex individual income tax issues or business compliance concerns, we are here for you. A good estate plan helps ensure that your final wishes will be carried out. In our estate planning practice we help our clients plan for what will happen to their assets, their families, and their businesses in the event of their death by creating individualized plans that honor their unique goals. For some, this can be accomplished with a basic will or trust, but other concerns such as estate tax exposure, providing for loved ones with disabilities, and business succession may require more advanced planning. We assist clients with estates of all levels of complexity. Our attorneys work closely with each client to thoroughly assess their needs and put together a customized plan that effectively accomplishes their goals. Oftentimes, executors, administrators, trustees, and personal representatives have no prior experience with probate or trust administration. Our experienced attorneys can help guide you through the process of probate or trust administration, including preparing and filing all the necessary documents, ensuring compliance with the provisions of a trust, effectively dealing with probate court proceedings such as will contests, statutory custodial claims, and other legal issues that may arise. To schedule an initial consultation, contact us or call our office at 630-645-1403. From our office in Oak Brook we serve clients throughout Illinois including DuPage County and Cook County including the communities of Chicago, Oak Park, Elmhurst, Downers Grove, Elk Grove Village, Des Plaines, Park Ridge, LaGrange, Westchester, Rosemont, Schaumburg, Itasca, Lombard, Lisle, Wheaton, Naperville, Aurora, Westmont, Darien, Woodridge, Addison, Orland Park, Tinley Park, Hinsdale, Burr Ridge and Willowbrook. of Reed Elsevier Properties Inc., used under license.